Today’s World Cancer Day, led by the Union for International Cancer Control (UICC), aims to inspire and encourage action from individuals, the health community and governments to improve public awareness and access to early detection, screening and diagnosis. In 2018, there were more than 18 million new cases of cancer diagnosed, of which nearly five million cases of breast, cervical, colorectal and oral cancers could have been detected sooner and treated more effectively. 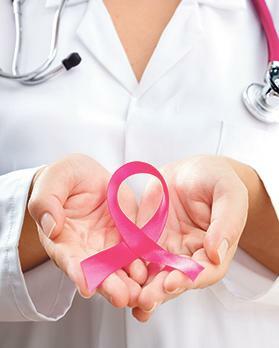 Early detection, screening and diagnosis have been proven to significantly improve patient survival rates and quality of life as well as significantly reduce the cost and complexity of cancer treatment. However, barriers to achieving higher rates of early cancer detection need to be addressed now at the individual, health system and governmental level to significantly reduce the personal and financial burden of cancer worldwide, the UICC has said. UICC chief executive officer Cary Adams said: “This World Cancer Day, we want people to know that many cancers can be managed and even cured, especially if they’re detected and treated as early as possible. This World Cancer Day, as part of its flagship Treatment for All initiative, UICC and its 1,100+ member organisations across more than 170 countries, are calling on governments to translate their commitments to reduce the burden of cancer into demonstrable national action. Strong early detection and timely diagnosis measures must be a part of any country’s national cancer control plan, alongside concrete measures to improve cancer prevention, treatment and care. “By implementing resource-appropriate strategies on prevention, early detection and treatment, up to 3.7 million lives can be saved every year,” it said. • Increase investment in diagnostic capacities. The director-general of World Health Organisation, Tedros Adhanom Ghebreyesus, said: “For too many years, cancer has been considered too complex and too expensive to manage. The opposite is true. If we fail to respond decisively to cancer, the economic and social consequences will be astronomical.